Size: approx. 1000 mm. Photo: 02/13/16, 1 pm. Every February, a group of wood storks visits our lake. They sometimes hang out with some white ibises that we see more frequently. 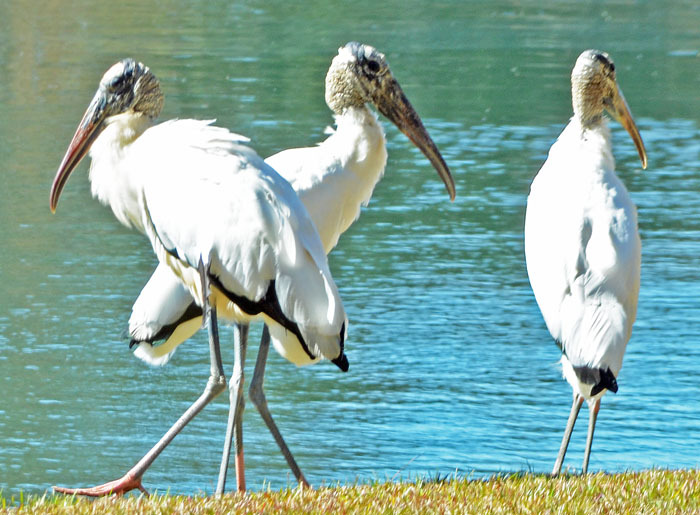 Until 2014, wood storks in the US were considered an endangered species but--after decades of conservation efforts--have been reclassified as only threatened. They are the only stork species that breeds in North America with small populations in Florida, Georgia, and the Carolinas.